This year we did something different with our tomatoes. In our garden, early blight (fungus) is a real problem. My wife doesn’t want the tomatoes covered badly with liquid copper because she’s usually the one harvesting the tomatoes and she’s awfully tired of having brown/green fingers (and she wrote this sentence (: ). Fortunately, Burpee Seed Co. fixed our problem (we hope). New this year, we ordered early in March three Mountain hybrid tomato plants. Burpee claims these are the most disease resistant tomato plant available on the market and they are not available yet in seed packages. We received the plants on time to put in the ground by Mother Day’s weekend, after all danger of frost was gone. 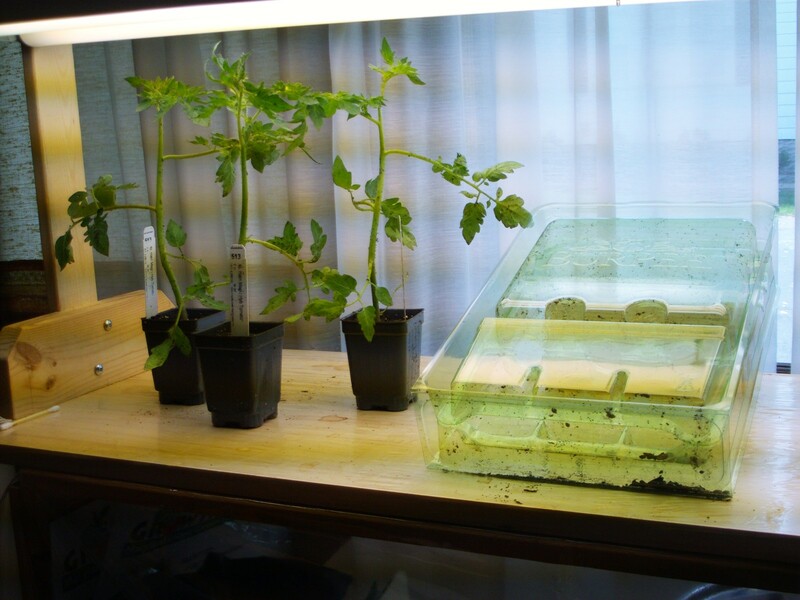 These plants will produce saladette tomatoes and are indeterminate versus determinate cultivar as Mountain Fresh, Mountain Supreme, and Plum Dandy to have resistance to early blight. On the other hand, we didn’t take a chance and following our previous observations, we seeded at mid-April to have 2 Summer Salsa tomato plants in full fruit by mid-August. These plants are not quite disease resistant to early blight as proclaimed, but we hope that leaping over June and July, they will be less prone to summer heat and early blight than if we had planted them in the ground by Mother’s Day. Wish us luck, and we’ll keep you posted!